Finally there are some replacements for the old Trak Bushwacker skis. Most of them are also skinbased, use high tech mohair, for better grip than fishscales. 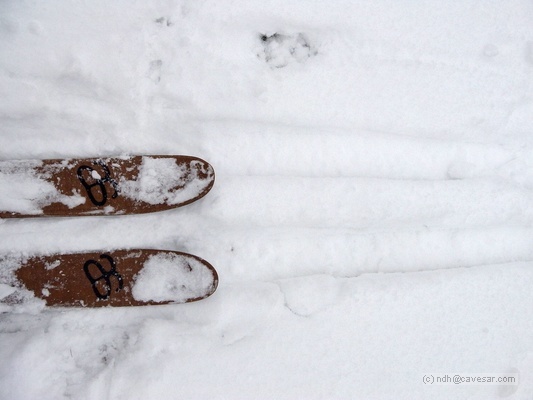 Altai Skis – http://www.altaiskis.com LL Bean, Eastern Mountain Sports list both sizes of the Hok on their web sites. Hok in both 125 cm and 145 lengths. Also the Kom, a fishscale base Telemark ski 162 cm.